Fast forward 25 years, and let’s say you saw that same pair advertised on Facebook. You purchased them by being redirected to a retailer’s website (and somehow suffering through the pain of typing your credit card details into an itty-bitty form), and then they arrived. Job done. Except it wasn’t. They looked terrible on you and you had to return them immediately. It’s now 2018. Have we now moved forward to a place where we’re able to replicate the holy grail of shopping...actually trying things on? Facebook likes to think so. With the aid of their new augmented reality ads, we’ll now be able to place an AR version of a product onto a video of ourselves and see if they look any good, once and for all. The ads, which are being heralded as the high-potential version of the now-defunct Facebook buy buttons, are currently being served as link-out only, so we have to make the final purchase on the retailer’s site (more convenient, yet it doesn’t solve the itty-bitty checkout form problem, AKA mobile conversion, which still sits at a woeful 1.14%). However, experts are wondering whether it is only a matter of time before Facebook tries to collect payment info as well. It makes sense, right? With payment and other information autofilled, purchases can happen up to 536 times faster, and we can not only try on the sunnies, but buy them in a heartbeat. Job really done. What could possibly go wrong here? A lot, it seems. There is little doubt that the transformation of the purchasing funnel for the majority of goods is due, at least in part, to the power of social media. Right now, we’re spending over an hour a day on social media alone (and 3 times that on our smartphones), so it’s of little wonder that as many as 60% of our purchases are influenced by our experiences there. These stats make for enviable reading for anyone at the social media giants who cares about the bottom line and wants to sell more advertising to retailers. But what sets Facebook apart from any of the other apps is its unique access to our data. We often share our entire lives on Facebook, and indeed, Facebook itself admits that it wants to own every single thing we do on the internet. And it’s Facebook’s data - and the power that it gives retailers to target us with laser precision - that differentiates it from any other digital advertising. Not only can you exactly calculate your advertising ROI (something that Facebook admits retailers are getting notoriously stringent about), but that ROI is likely to be better than anywhere else. There’s no doubt that the more data, the better for Facebook. Yet one piece of data that has eluded them is our credit card information. 4 years ago, Facebook tried to introduce a buy button. The button allowed users to purchase products directly from a business, without ever leaving Facebook. At the time, it was a great idea for lots of reasons. Firstly, retailers would be able to up their mobile conversions - basically, users would be sent straight to checkout once they saw something they liked. And secondly, consumers wouldn’t have to navigate troublesome mobile forms to add their details - Facebook could just autofill everything. Thirdly, and probably most importantly (or worryingly), Facebook would now have access to even more data on us, including all of our personal and payment details. Fortunately - or unfortunately, depending on how you look at it - the buttons didn’t really take off. As of right now, the official Facebook buy button information page hasn’t been updated since it was introduced in 2014, and the reports of its success are few and far between. Facebook wasn’t successful in getting our credit card details then, but interestingly, it is now. With the introduction of a new payments solution (seemingly unrelated to our shopping habits), Facebook has now given us the option to pay our friends through their messenger service. A convenient service to be sure, but how much data do we really want to hand over, and what could it be used for? How much data do you want to give Facebook? Right up until last year, Facebook and other social media giants could have made a (convincing) argument that them harvesting our data was actually just making our lives easier. After all, who wants to see irrelevant ads? No one. And we’re all time-poor, so if we could buy something more quickly and easily, wouldn’t we want to? That view, on the data at least, changed dramatically earlier this year when news broke that Facebook had leaked up to 87 million users’ data. In one of the biggest data breaches the world had ever seen, Facebook admitted that users’ details were shared with Cambridge Analytica, whom subsequently used their personal information to predict and influence votes for the US election. The breach had far-reaching consequences for Facebook: they were hit with multiple lawsuits, leading brands pulled their advertising, and hundreds of thousands of users started to boycott them. Perhaps more importantly, though, was the lingering question that the breach left in most social media users’ minds: just how much data should I be giving to Facebook? And is the convenience of a great shopping experience really worth the risk? Despite the fact that things have gotten quite murky in the world of data collection, a few important truths remain: our social media use continues to grow, as does our love for (and use of) online shopping. So is there a way for Facebook to create the ultimate shopping experience, without us having to be petrified that our personal and payment details will be slip into the wrong hands? There is, and it’s called intelligent autofill. Way back in 2014 when Facebook first tried to introduce their buy button, one thing they never quite nailed was their autofill. Any autofilling that might have been able to happen was dependant on merchant integration of the buy button functionality into their ecommerce store, and even if that occurred, people had to give Facebook their credit card information - something that even then, many people were reluctant to do. Yet all this could have been fixed back then - just like it could be fixed now, with their new AR advertising feature - with the integration of intelligent autofill. If Facebook were to integrate an intelligent autofill, such as Fillr, they’d be able to immediately alleviate any concerns about privacy, as instead of data being stored in Facebook, user’s data would be stored on their device only (using 256-AES military-grade encryption and a pin known only to them). 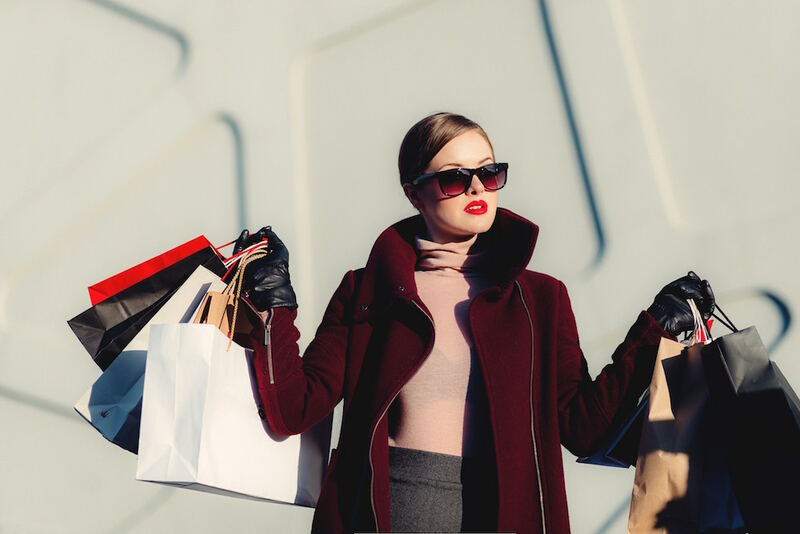 As an added bonus, retailers also wouldn’t have to integrate any functionality themselves (like they did with the buy button), so Facebook and retailers alike would be free to offer an exceptional all-round shopping experience - complete with a dressing room via AR - without anyone batting an eyelid about potential data breaches. Even for the most trusting among us, there’s many things we’d happily give to Facebook, but credit card information isn’t one of them. But turns out, we don’t have to. We can have our cake and eat it too (or try on those sunnies and buy them too), if only Facebook would integrate intelligent autofill.